It’s the Easter holidays, so time to find some fun things to do as a family that don’t cost a small fortune. 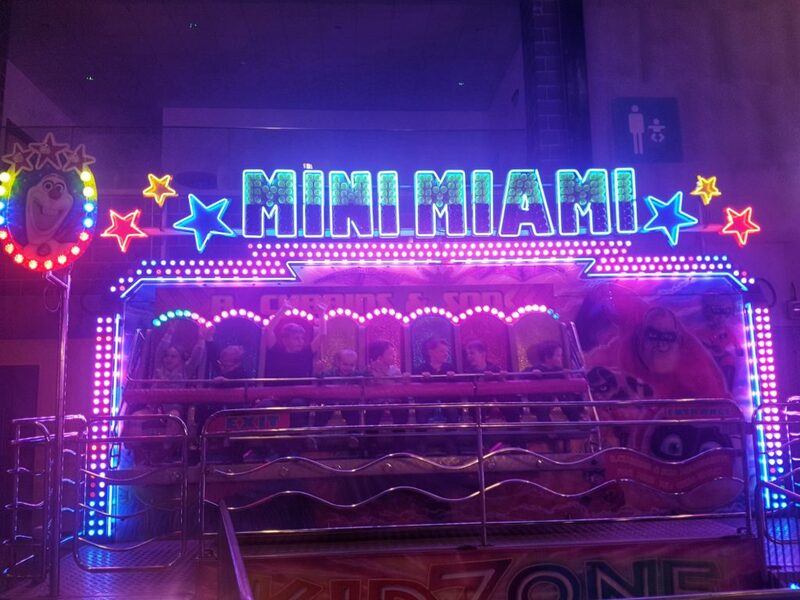 This Easter the Indoor Funfair has come to Liverpool, after a successful debut in Yorkshire last year. 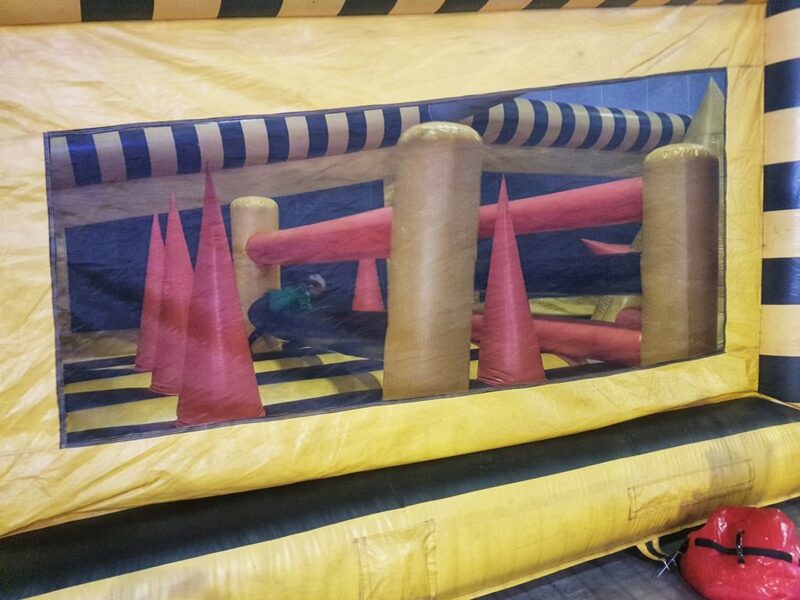 Recently added to the event is a 200ft long inflatable obstacle course named ‘Energiser’, two mini-coasters, a huge inflatable slide and a 3D Experience Zone, along with rides specifically for younger children. Have a look at this video to see more. 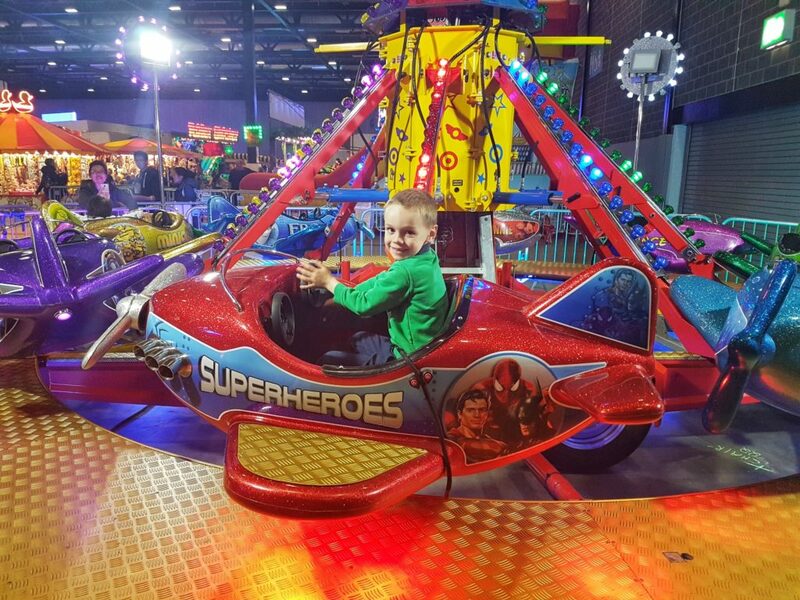 The week-long indoor event is taking place at Exhibition Centre Liverpool on the waterfront during the Easter break (15-22 April) and offers unlimited access to rides during each 3-hour session. There are three separate sessions each day – 10am-1pm; 2-5pm and 6-9pm. This is ideal as it means that the numbers for each session are limited, which avoids long queues and disappointments. Do book online to avoid disappointment. Firstly I have to mention the venue. It’s ideal. Loads of parking nearby, clean, modern and clean toilets -always a bonus. Next I have to mention the cost. £10 per rider for 3 hours and £2 per spectator! It’s so refreshing to see a family event that isn’t hugely overpriced. 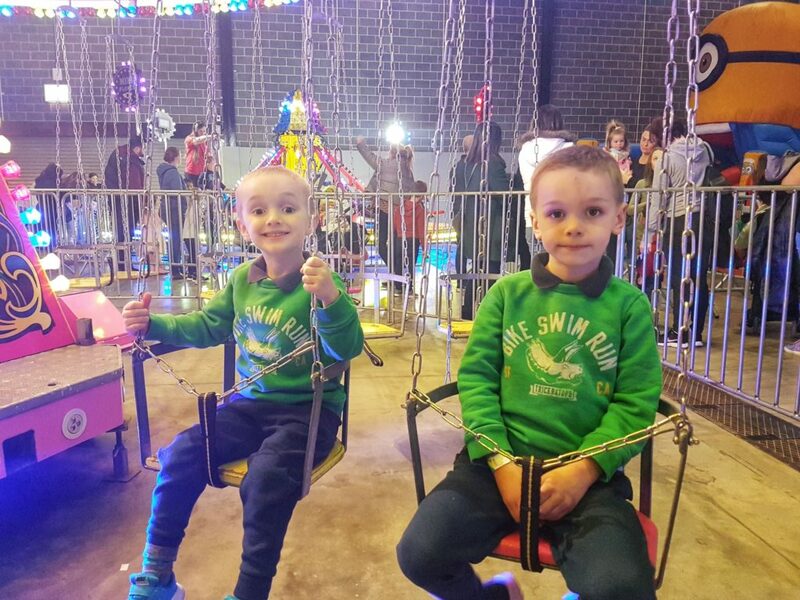 The Indoor Funfair have got this spot on and we were really impressed with the value for money. The limited numbers in each session mean that there is ZERO queuing and you can easily get around the whole funfair several times in the three hours. It’s the ideal place to go if you have children of a range of ages. I took children ranging between 4 and 13 and they all had a blast. There is something for everyone. 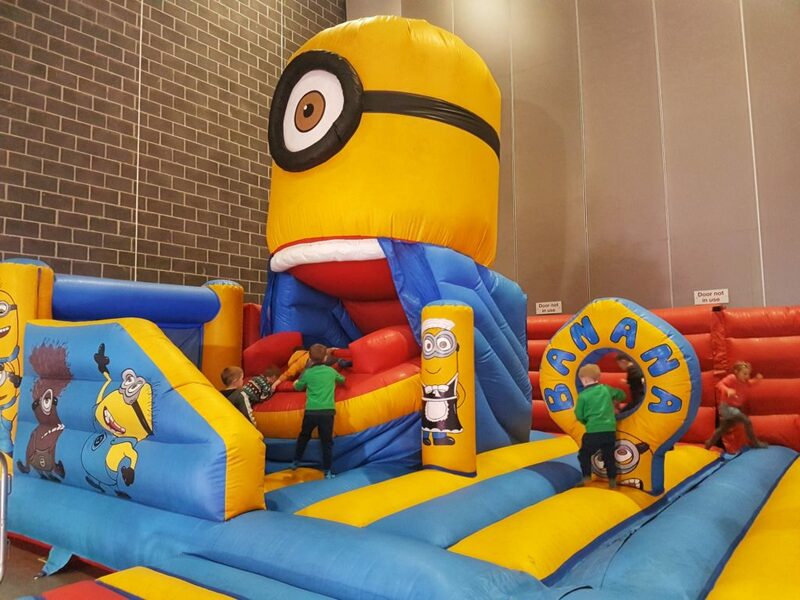 The children loved most of the rides but the Minion bouncy castle and the inflatable assault course were brilliant. 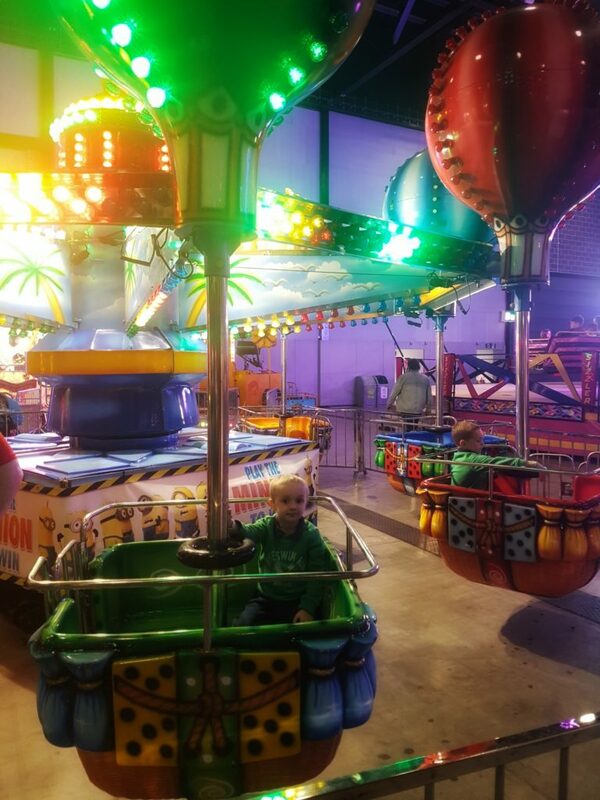 It’s an ideal size venue for the rides they have, big enough not to feel crowded but small enough that you can feel happy letting older children go off on a couple of rides on their own. 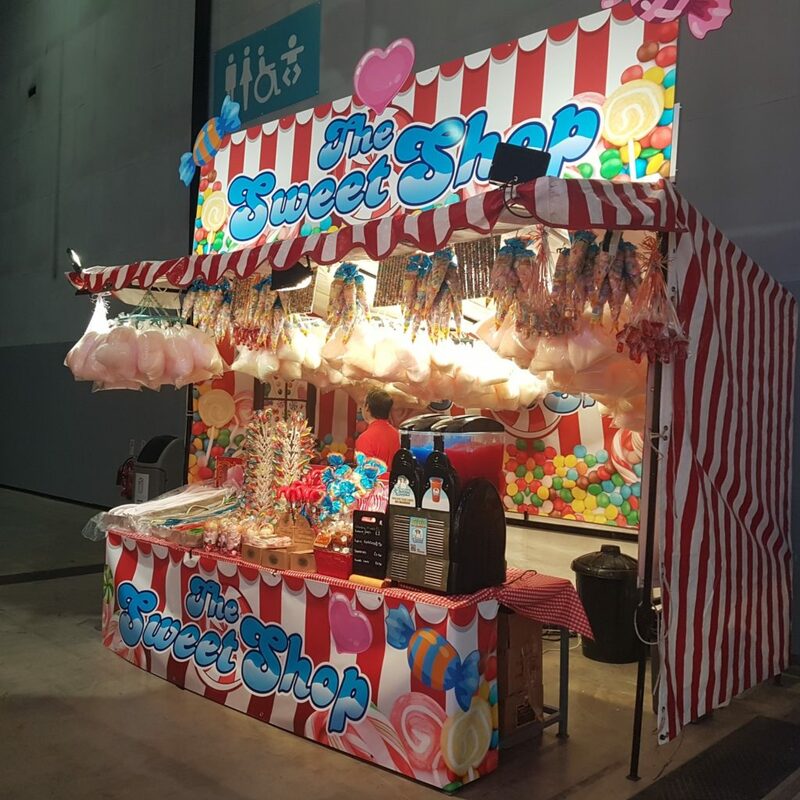 There’s all the usual things you’d expect from a fairground, candy floss, sweets, slush, burgers, hot dogs, chips and so on. There are no Gluten free options so take your own if you need to. We highly recommend this as a half day out as a family, you won’t be disappointed. 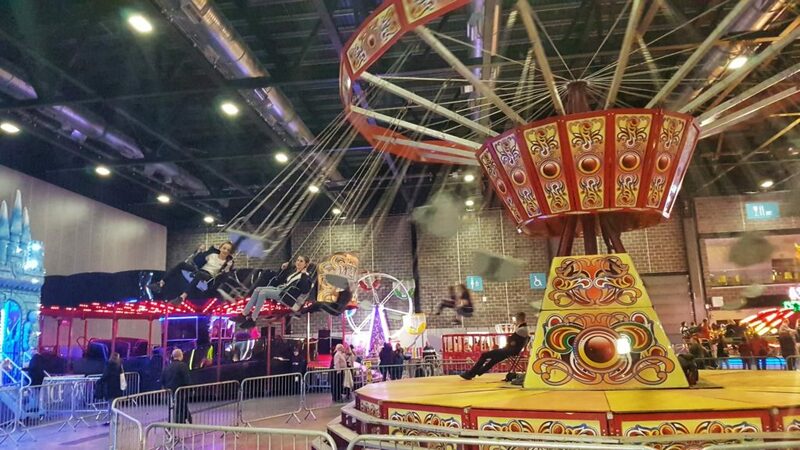 Traditional fairground fun in Liverpool at a reasonable price and all indoors out of the rain and wind.